Senior Associate of Investment and Business Setup Team is a senior member of the Chambers and is a key person of the team. Under supervision of Head of Chambers and with the help of junior associate, give practical advises to the client and he/she is completes all filing and approval works which are mostly outdoor works in different government offices e.g. Registrar of Joint Stock Companies and Firms, Sub Registry office, NSI, Home ministry, Ac Land, Board of Investment/ BIDA, tax offices etc. Deep understanding of law and procedure, significant practical experience in filed work is the key ability for senior associate of this Team. The Chambers certainly have the right person for this role. 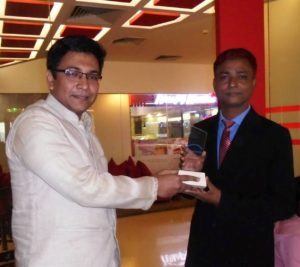 Mr. Amir Hossain Sarker is highly experienced and working as Senior Associate of the Team for more than 6 years. Mr. Amir Hossain Sarker works in the Investment and Business Setup team as senior associate for nearly 5 years out of his total 10 years experience with the Chambers. Mr. Amir has vast experience of working in Registrar of Joint stock of companies and Firms and other government offices like tax, VAT etc. on registration, filing and approval of return, search matters. He handles foreign investment and corporate return filing matters. Previously, Mr. Amir was in charge of in handling cases in Distract and magistrate court matters. He is now a Deputy head of Corporate Department and also a senior member of Investment Department. Mr. Amir Hossain Sarker has successfully completed his LL.B, B. Com, M.Com under the National University. He is advocate of Judge Court. Mr. Amir is registered member of Dhaka Bar Association. Mr. Sarker is associated with the firm as a Senior Associate from the very inception. He has developed significant expertise in the area of business setup services. He was involved in setting up more than a dozens of private limited companies and was actively involved in procuring business licenses. Besides, he was also assisted the firm in setting up other entities e.g. NGO, Society, Trust, Partnership firms etc. Before joining Investment and Business Setup Team he was in charge of District Court team for nearly 4 years as a lead counsel in district and Magistrate Court. He was involved in many litigation e.g. Money Recovery Suits, Dishonour of Cheques, Land related disputes etc. As a Senior Member of Investment and Business Setup Team he also assist the firm in carrying out land due diligence and due diligence involving company registration in acquisition, take cover, merger and amalgamation, banking loan related matters. Setting up business and with immigration formalities of employees for Shakti Pumps (India) Ltd. Formation of Data path limited, MRS BD Ltd etc. Work permit and security clearance for several employee of Uttara Foods. Return filing at RJSC for Saturn Textiles and share transfer approvals. Tax filing and assessment support for individuals clients. 2000 – LL.B from National University. 1997-B. Com from National University. 2006 – Enrolled in the District Court & Tribunals.